Property 22: Salty Sand & Pepper !!! Property 28: Light, bright apartment 2 minutes from beach. Property 34: Satori ❤️City Fringe! FREE Wifi, Netflix, Parking! 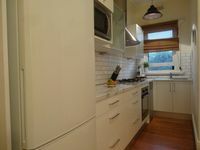 Property 41: Stylish and comfortable, views over Gouger St!